Can you fly faster than a Rainbow Lorikeet? Here’s your opportunity! Introducing our first ZOO RUN for Currumbin Wildlife Hospital Yes, that’s right, a ZOO RUN is a fun run where you’ll run through Currumbin Wildlife Sanctuary. If you are a serious athlete – take on the 5 kilometre challenge! This course is NOT for the faint hearted or unfit! We have some very Steep Hills, narrow windy bush track with awesome obstacles and challenges for the single runner. Not so serious? No worries, how about a 2 kilometre family fun run / walk. You can even dress-up if you are that way inclined! We’ll even have a prize for best-dressed entrant / team! Of course, the ZOO RUN will be a fundraiser for the Currumbin Wildlife Hospital so you will be getting sweaty for a good cause! We’ll need sponsors and supporters to get this organised, so please give us a call if you want to help this awesome event. We’ll also need some volunteers! Prices are only $50 per participant for the 5 km run, or $40 per participant for the 2 km family fun run / walk. Riding in a pram or stroller is not permitted on the 5km bush track. If you are taking bub out to enjoy the beauty of Currumbin please join in on the 2km paved path way. There might still be a few bumps and hills along the way, so be ready for it! Children aged 3 and under are also FREE!!! To register follow this link to REGISTER NOW! 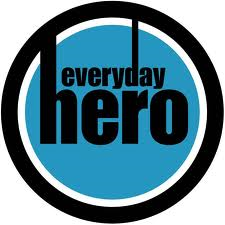 Win by becoming the days BIGGEST Fundraiser! We will be doing the highest fundraiser for 2014 so looking for a fantastic sponsor so help get everyone motivated! 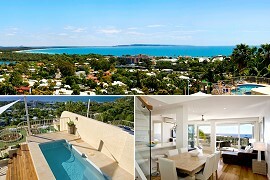 2 nights accommodation in a 3 bedroom apartment at Noosa Crest! All 11 of the Jetts Fitness on the Gold Coast are our naming sponsor for this event. We have a great time with the Jett's Fitness team on the Sunshine Coast for the Australia Zoo ZOO RUN and looking forward to working with Jetts down on the Gold Coast this year. ZOO RUN is a concept by our 14 year old Daughter Tegan. Tegan loves wildlife and to date has raised over $78500.00 for conservation. On the Sunshine Coast she has raised close to $70,000.00 for the Australia Zoo Wildlife Hospital and $8,500,00 for other charities such as Qld Koala Crusaders and Twinnies Pelican and Seabird rescue. To date Tegan has won Qld Junior Philanthropist award for 2013 and Young Citizen of the Year for Moreton Bay Region 2014. She is very proud to be recognised but is still working hard to reach her personal goal of $100,000.00 for wildlife before she leaves high school. Wildlife Emergency is a Not For Profit that has been created to help Tegan put on her events such as the ZOO RUN as well as her beach clean up, land care and other community events.